Stevie Wonder's sadness over fate of irreversibly of great friends, artists and family have been a constant in recent years. Just remember unexpected death of his mother, his brother, or his ex-wife Syreeta. 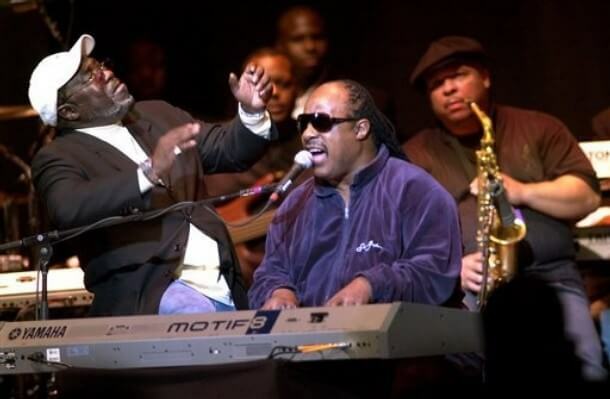 Colleagues as Michael Jackson, Whitney Houston, Pavarotti or Luther Vandross, have tried to penetrate and bind with a clammy fog the heart of Stevie Wonder. Stevie has always expressed the best way he knows hisr love and memories. Emotional man and full of tenderness, his voice and his music is the channel through which pass the invisible threads of affection and love. 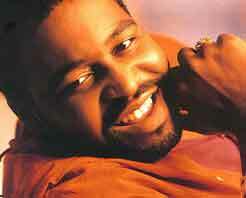 This way we can infect the emotion of one of those moments that would not have happened, his presence alongsideEddie Levert -components of the O'Jays- remembering his son Gerald Levert. Also great singer, died on 10 November 2006 with just 40 years of age. His physical disappearance brings out those moments where the magic of the music is converted back into the transmission medium of the deepest feelings. A shocked Stevie Wonder plays with the heart a beautiful song belonging to his 1980 album "Hotter Than July". Is the song "All I Do" -composed by Stevie in the 60'- making transmission chain heartbreaking lament for the death of a friend, and the pain of a father facing one of the worst times that may have, the death of a son. You can feel and touch the emotions, you can feel the soul of Gerald Levert resting in peace, knowing that there are people in the world who love and feel his disappearance, which is a process comprising more than life, and without it many things would cease to have meaning. Sometimes life is too short ... but why not leave a residue prevents indelible of love in the hearts of all us, thanks mainly to the memory of his performances, as was the day that pays tribute to Stevie at the BET Walk of Fame. His unforgettable voice and presence performing also "All I Do".